Michael Khouri was born and raised in Egypt in a devout Coptic Christian family. Omar Abboud is a lifelong Muslim who takes great pride in his faith. Conventional wisdom suggests these two should be mistrustful of each other, or even adversarial. But instead, Michael and Omar shattered the barriers that divided them to form a meaningful friendship for a bit until they just sort of fell out of touch. Yes! It’s stories like these that make the world a little brighter. 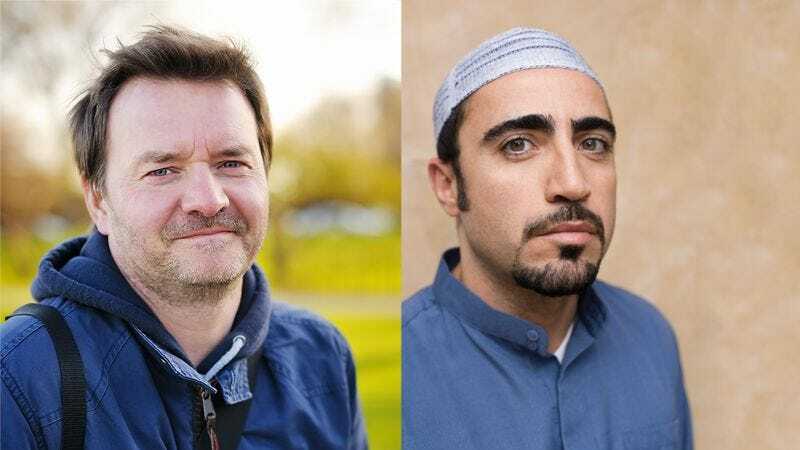 You can’t turn on the news without hearing about violent tensions between Christians and Muslims, but Omar and Michael defied the narrative by building a trusting relationship that gradually faded away to the point where neither could be totally confident that he remembered the other’s last name. No matter how much strife between the Muslim and Christian sects they came from, the two didn’t let their differing identities stop them from supporting one another until a few months later when Omar got a new girlfriend and kind of dropped off the radar for a while. Discussions about politics and religion flowed constantly between the pair for the six months they spent as research assistants in their school’s economics department, then stopped pretty much entirely when the semester ended and Michael moved to Prague for a work-study program. Despite their distance, the cross-cultural friends managed to keep up an extremely low-effort texting relationship. Imagine how much better the world would be if all Christians and Muslims came together in friendship that eventually petered out because work stuff got crazy. Omar and Michael are living, breathing examples of what happens when you build a bridge that crosses seemingly uncrossable borders, then sort of ignore it for a while due to general life stressors, but hope that at some point you can pick back up where you left off if the opportunity comes up but who knows. And that’s something we can all smile about.